Breath taking cross stitch kit of a Halloween book comming alive! Including haunted house and flying bats. Includes 26 colours DMC floss and Iceblue aida. 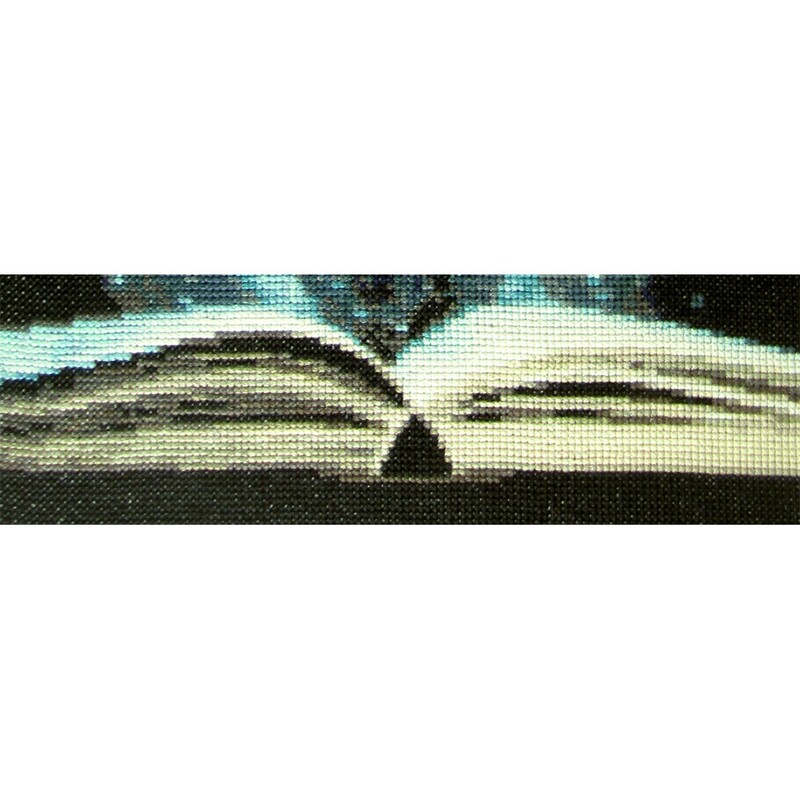 Cross Stitch kit of a stunning forest with a mysterious fog. Fantastic as landscape, but also very f..
Cross stitch kit of a pumpkin becoming alive as the sun is setting behind the creepy castle on Hallo..
Cross stitch kit of a creepy house, no one's there, but the light is on, the moon turned green. 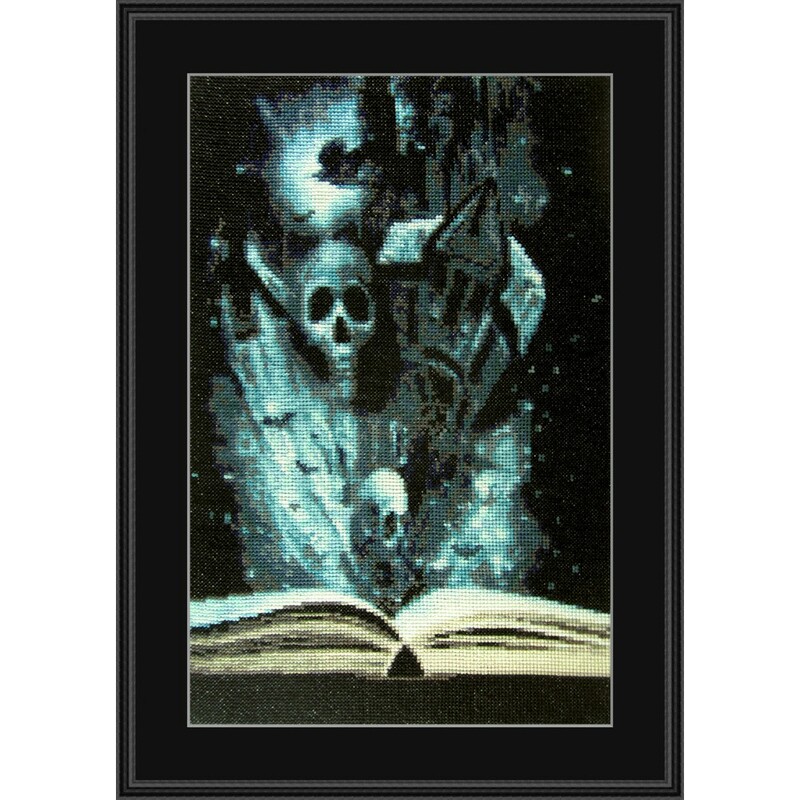 ..
Halloween cross stitch kit of a creepy cemetary. 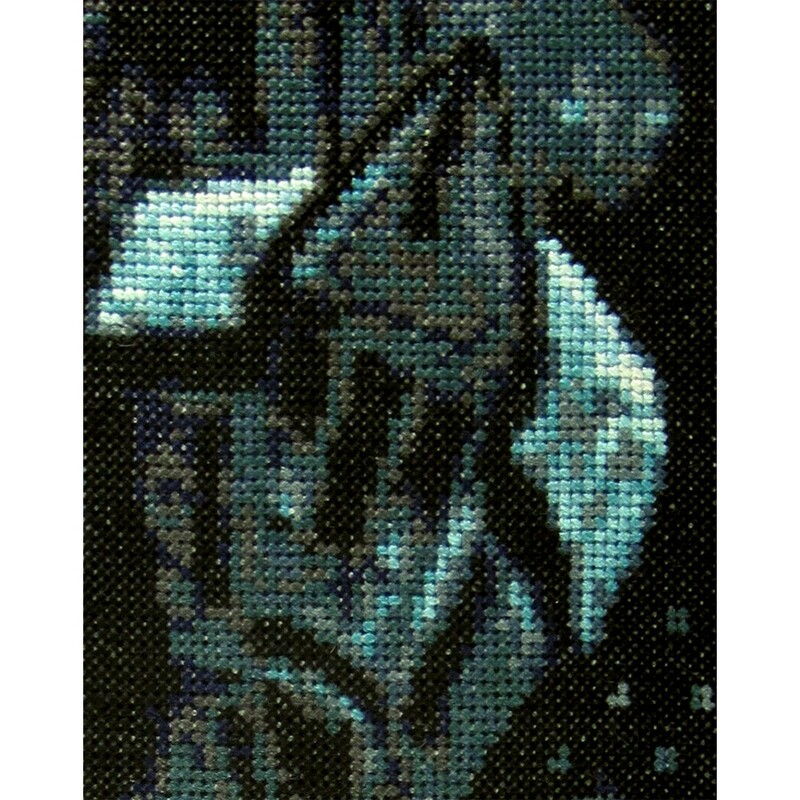 It's the middle of the night and a weird glow a..
To the Other Side is a scary Halloween cross stitch kit of a creepy bridge. This bridge only appears.. 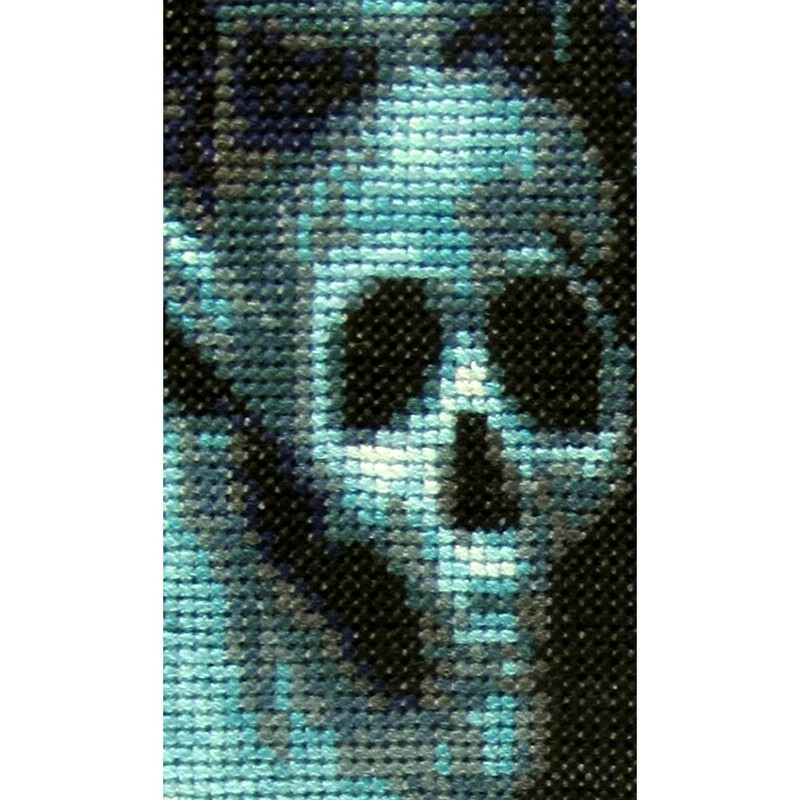 Ghostly Visitor is a fun Halloween cross stitch kit of an actual ghost trick or treator, this is no ..